Welcome back, Phantasy Star Online, to Nintendo. PSO1 was mostly on the Dreamcast, the Gamecube and the XBOX. And the less about why we won’t see it on the XBOne, the better. So, In the near future, we’ll be able to play PSO2 Episode 1-5 on the one console that doesn’t need a TV, doesn’t need a monitor, it just needs the internet. If vita can run it, then pretty much anything can. I just hope they won’t retroactively censor anything because of releasing on children’s console. I have to say that calling it a ‘children’s console’ is exactly why Nintendo has been having so many problems getting games like this recently. I’m pushing 40, and I play the Switch and enjoy it, and have people of similar age play it with me. The build quality of the older systems, yes, they were for kids, but the Switch is a proper system. Several of the upcoming games for 2017/2018 are NOT for kids. They announced Doom was coming to the console on the same day, think it will be fine and there is quiet a few questionable games on the 3DS in Japan. I think after all the titles they’ve had on the Nintendo systems, it’s clear that it’s not only a “children’s console”. It’s just not a system that’s popular with people who like edgy or more gritty things. PSO2 is neither of these things, what would they even censor? Clothes? I’m pretty sure Sega doesn’t care about that, especially because it isn’t coming to the west. Usually it’s western localization that causes censorship to happen because people care about it over here way more than natively in Japan. Here’s hoping it’ll get a proper NA release on the Switch! Heha, not happening. We are WAY pas the chance of getting of PSO2 localisation. lol what a silly anon-kun. It’s been like that from the start. I still remember spending a lot of hours spamming Caterdransa trying to get Raizernork. One week after i finally have it they released Lambda Raizernork which has 50% more atk and has easier drop rate. I was also wondering how on Earth that the cloud system worked, too. I was trying to puzzle it out how you’d be able to play without actually having downloaded the game, unless it was some kind of streaming video. Even if it was, how does it work exactly, and how would it be better than just downloading the game itself? At any rate, if it works well and is a streamed video of some kind you would use, couldn’t they apply that same system to the Vita? Really curious. Well, it is like PS Now/NVDIA Shield or something similar. Hope they get their own blocks just like Vita players because i surely don’t want to play deus rematch with ppl that might have severe case of input lag. Just hope it also work on NA console. Hopefully, they don’t do their own region blocking on accessing the servers for the cloud service. Sure the switch is region free, but that doesn’t stop SEGA region locking. Nice! Didn’t even know that. Region Free console so yes. Just download it from the Japan Eshop. That’s not how game streaming works at all. The only part of the game that is being handled by the client is the sending the controller inputs and receiving video. Think of it as a really long range wireless controller and display. you would think that if it was that way. streaming video or game involves an element that you would need on a cloud and on the device receiving the stream. For a video, it is a more simple version but it does require the element. The element is program. For streamed videos, it requires a web browser and elements of the broadcasting program (for twitch, it’s the twitch overlaying stream program that makes you able to see a streamed video). You will still need to load a program for the pso2 cloud, and a game does take up more than what a simple video would do. And going by quote “This version of the game will be distributed via a cloud service, eliminating the need to download large amounts of the game’s data.” note the “Large amounts of data.” because they will have you download data either way, just not 50GB of it. In order for a game to run, it needs to have at least 4 GB, that is if you were to say… stay in the lobby with no one around. You can move around and do stuff like you freely would, but as soon as you move to another mapping… like a forest tile, the data would have to dump the previous mapping and load the new mapping. which would have like a transition of a few MB… a transitioning data that can be done over the internet in small period. When playing pso2 in regular means, you are more than likely using up to like 10%-30% of the gaming data depending on how long you play and how crowded the server can be. So in order to play a game with no lag and not via video like method (which will have up to a 30+ sec delay in game play and that’s if you are in the region) they would have to at least 10 GB more or less data to be loaded on the device and then have like a way to provide a means to getting the rest of that 40 GB. And that data would have to be continuously streamed since meeting new players/ loading their characters would have to be loaded (among other things). So I would suggest not thinking of the pso2 cloud like some video streaming but more of an external harddrive that you have access to. What you are saying implies that the console downloads the base of the game first (the lobby and generic assests for example) and then each time you get into a quest it downloads the assests of that quest (world geometry, monsters, textures, sounds, etc) and then after you are donewith it, it deletes them to save space, meaning that if you want to do it again after exiting the quest, you would have to download that part again. Do you have any idea of how painfully long the load times would be if gaming over the cloud worked that way? Have you tried Onlive (Now called PS Now) while it was out? Or Geforce Now for the Nvidia Shield? Or Steam’s In-Home streaming? None of those require you to install the game on the CLIENT device you want to play, because the game its already on a HOST computer that SENDS the image to the CLIENT and RECEIVE the inputs from it. THAT’S EXACTLY HOW GAMING ON THE CLOUD WORKS! Even TwichPlaysPokemon could be considered cloud gaming since it takes the inputs from clients that don’t have the game and shows the result of said inputs on a streamed video! At most you would need to download a couple hundred MBs for the Client software on your Switch that will handle sending the inputs and receiving the video of the game that is being rendered on the servers with as little latency as possible. I’m sure that the Switch is perfectly capable of running PSO2 natively BUT space is an issue unless you want Vita graphics. Onlive is one i don’t know of, but Geforce Now and Steam’s In-Home streaming let’s you play from your pc to a tv or device anywhere in the house… in otherwords this is a local connected streaming that will only involves your network. And the delay between the devices would only result in milliseconds. the PSO2 cloud is a server that you would have to connect to via internet and even if you were a local area, the connection has a series of networks that it has to connect to get to the server and the delay between the computing device and server will result in several seconds. In other words, as soon as you have stopped walking to the left, you will still continue to walk to that left for several secs. This would make the game unplayable. The funny thing about you thinking about having the loading of maps is that it will take forever to do. your harddrive in your pc actually has to load data from a disc and then transfer that data to your memory cards or RAM. That load time can actually be measured as well… via Mbps. And now looking at the RAM requirements of the game (which is 2 GB) the data required for mapping would be in the MB and in a small amount of that MB. How long does it take to load to a new map? around 10 secs let’s say, and lets say that the mapping was around 800 MB, so your harddrive was running at 80Mbps. now lets look at the internet, my internet company says they have me at 120 Mbps, while I do a speed test that shows me at 90 Mbps. If i were to go via the system that I described, then the load time of the mapping would not change the gaming by large margins. And that’s with the necessary data needed to load that mapping. The reason why it took you 2 hours to load a 50 GB game and install it to your PC is because it was 50GB. With the system I described, the 10 GB that is already installed to the switch will be the “engine” of the game, which will make it run. And all you have to do is load mapping from the cloud with necessary data needed, which would be in the MB. Of course that load time will be depend on your internet speed, for me with 90 MBps will not be a long time. However, I will admit that there will be delays with this form of loading the game, but the delay won’t be as great as everyone things it will be and you will be able to play smoothly. As for your method, there will always be play delays of which will not make the gaming play smoothly. Also, the way you have worded things to prove your point as well as the “(It took around 2 hours to decompress the whole game while installing it on my pc, try doing that on EACH SINGLE LOADING SCREEN)” tells me that you know an inferior amount of how programs work, among other things. I mean, your PC only uses a portion of that data to do the actual playing. It’s not like you have to load the whole 50GB all over again and again. 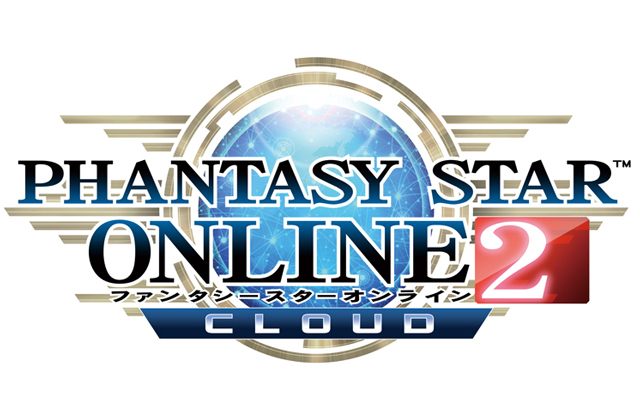 However, I know I am to be wrong on things and we have yet to know in full detail of what SEGA has planned for the PSO2 cloud. So any further comments or conversations that you will attempt will no longer have any reply or comments. So good day to you and hope to see you never. Don’t expect to see this in the US/NA e-shop as it will be likely not be a Physical Switch Card you can just buy and import. You will probably have to get a JP Switch account to download the game for free off the e-shop in Japan.